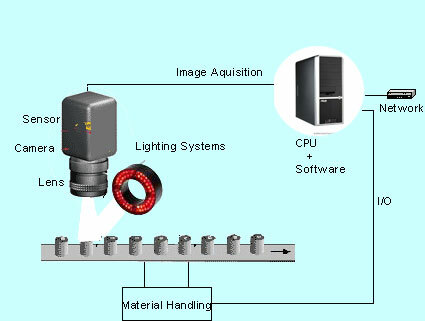 Machine vision is a technology that uses image processing technology for inspecting elements and analysis of the same. Shalaka has done machine vision based project for many industries in the past years. Component Counting: This is used in packaging processing where components that are difficult to count manually are counted at higher rates before packing. The systems can also communicate with administration by hosting a web based/server based or stand alone software. Shalaka has been developing Machine Vision based solutions for a variety of applications using standard procedures. Shalaka also has vendors who can supply with International Grade Cameras for our products.